This Fairway Friend Poncho is as clever as it gets! Inside the silvery plastic ball is a disposable-type jacket. 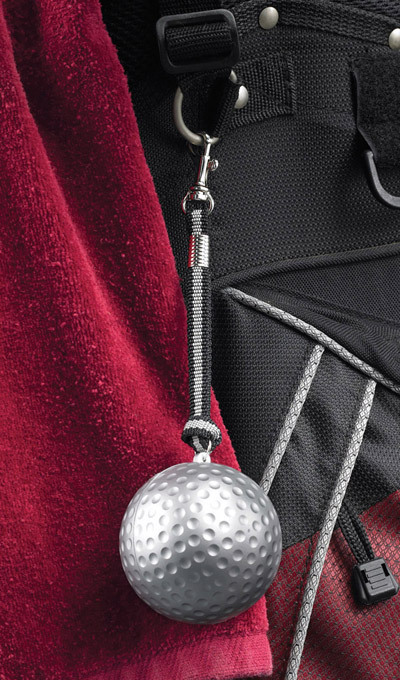 Strap it to your bag so you're always prepared for showers. 2½" dia. ; poncho measures 42½"w x 30½"l. Hurry! Quantities are limited!